It’s spring. The cold and flu and all kinds of viruses are being passed around like sides at a family gathering. The past two days I’ve been confined to laying in bed, sleeping and staring at the ceiling. 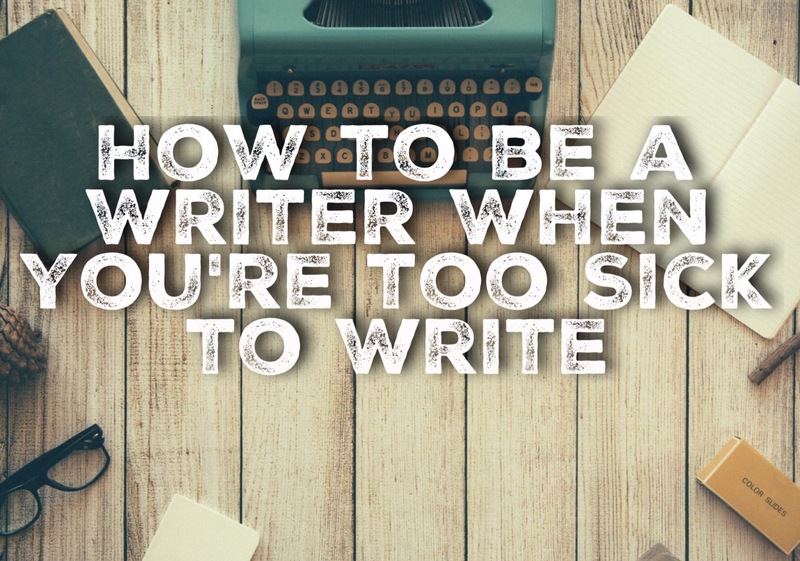 So what can you do when you, inevitably, fall too ill to go to work, nontheless write? If you’re too sick to get out of bed, here’s your permission to watch horribly satisfying reality TV complete with overly dramatic drama, unnecessary swearing, and all. (In the name of research and inspiration, of course. You don’t have to admit it’s enjoyable, too.) Make a list of names you like, how people interact with each mother, dialogue, body language, and physical characteristics you could use for characters. I’m sure you know by now the importance of reading as a writer. When you’re sick is a great time to read the books you haven’t had time to read or to read something you normally wouldn’t. Whoah, you might be thinking, how is that going to help me? I have made it this far thanks to minimal sleep and maximum caffeine. By taking this time to get healthy and catch up on sleep, though, your brain will be functioning better once you go back to writing. There’s a reason why they always say to get a lot of sleep before big exams. It impacts your ability to think and problem solve, two things that are crucial to writing. As you lie in bed, staring up at the ceiling between coughing fit or in the midst of a pounding headache, you have a lot of time to think. Instead of thinking about that time three years ago when you said “you, too” when someone said “happy birthday”, try to think about your story. Where can it go next? What will the ending be like? How will the characters make the story end the way you want it to? What kind of conflicts can you add to add suspense? 6. Blog or grow your platform. Especially if you have a smartphone, laying in bed is a great place to catch up on social media and post content throughout the day. You can write blog posts, either on your phone or on paper, that can be uploaded later if you aren’t feeling up to going to your computer. What else do you do when you’re sick as a writer? Comment below. If you liked this post, subscribe to my blog or share it on social media.